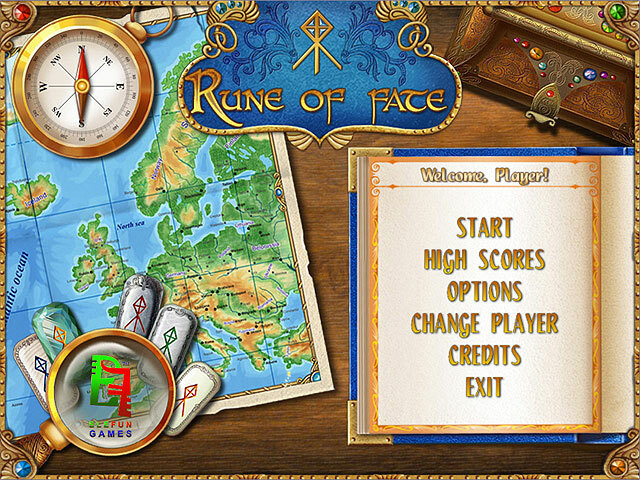 Rune of Fate is a new game by EleFun Games company. People say that the runes know everything. They say that the runes know the past, the present and the future. And their predictions always come true. What if these runes are not just ordinary runes? What if you happen to have Odin Runes in your hands? They can kill by sending disasters and suffering to their possessor. However, they can also show the way. Rune of Fate is a new game by EleFun Games company. ...... However, they can also show the way. The way to the secret hidden high in the mountains. You will have only to throw them to the bottom of the box and then collect the deal fallen. Only in such a way, step by step, you will be able to get closer to your aim. Imagine you're a native on a volcanic island. Brunei Free Screensaver. Photos slideshow. Remove the newest variants of Qoologic. Qweas is providing links to Rune of Fate 1.0 as a courtesy, and makes no representations regarding Rune of Fate or any other applications or any information related thereto. Any questions, complaints or claims regarding this application Rune of Fate 1.0 must be directed to the appropriate software vendor. You may click the publisher link of Rune of Fate on the top of this page to get more details about the vendor.